This was the first appearance of many of the 1950s tracks on CD. It also features the first arrangement of Theme For Young Lovers (from the original single recorded in 1959) but in mono. Percy Faith was a regular visitor to Australia and appeared at Coronets Records’ Sales Conventions and also conducted at the Horden Pavilion in Sydney. This album features 28 great tracks highlighting the genius of this brilliant arranger and conductor. Many of the tracks have not been released since their original debut on 78s and Lps. One such track always in demand is “Bubbling Over.” Sony Music hopes you enjoy this feat of vintage Percy Faith. It is our tribute to one of the world’s most popular and respected musicians. Percy Faith died on the ninth of February 1976. He was 67 years of age. 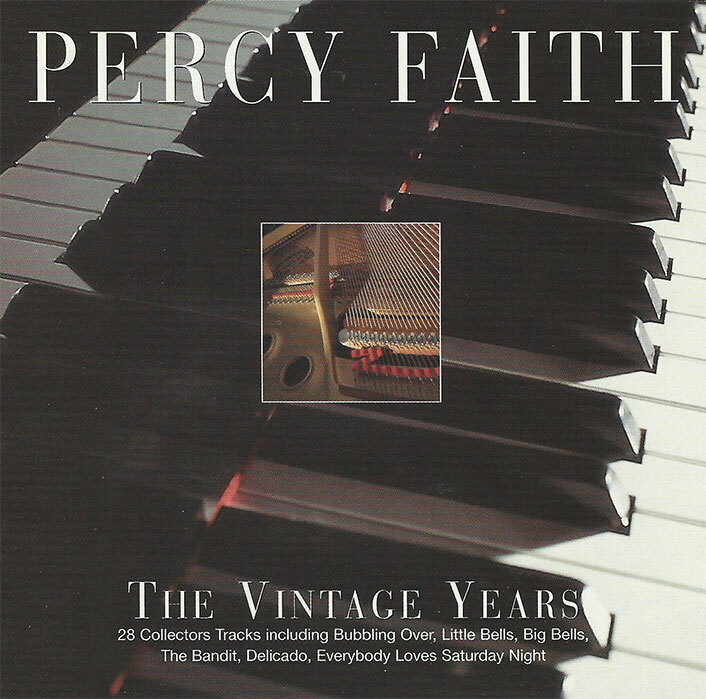 Thankfully, with this vintage album the genius of Percy Faith will live on well into the next century. The liner notes state Percy's birth year as 1909; other sources show his birth date as April 7, 1908. The sound quality on a few tracks isn't great and the Carefree tracks (e.g. "Go-Go-Po-Go" and "Goin' Home Train") are in mono. The disc states "The source recordings are taken from old analogue tapes and 78rpm disc. In some cases surface noise and other imperfections are unavoidable." Fortunately, all of these tracks have since been released on other CDs with better sound quality.